Model: F250, F350, F350, F550. Cab: Regular, Extended, and Crew. 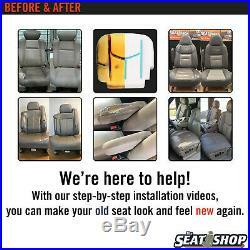 Installation videos provided by The Seat Shop. Need to make sure you're getting the correct color? The Seat Shop's 5 Key Principles. Located in Allen, Texas (a suburb of Dallas), The Seat Shop is made of a strong group of professionals with years of industry experience. The Seat Shop is built on a solid foundation of 5 key principles. Work Hard, Be Honest, and take care of each other. Consider every client a friend and treat them accordingly. Be obsessed with Customer Service, Be someone who people look forward to doing business with. Offer only the highest quality products and services to our clients, and accept nothing less from our business partners. Life is too short to be miserable at work! In today's marketplace, trust, reputation and client feedback are essential. 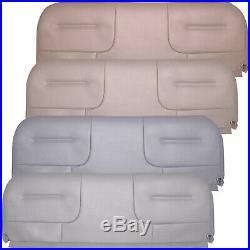 At The Seat Shop all of our covers are guaranteed to match the original color pallete of the vehicle's OEM interior. Please watch our cleaning video and follow those instructions in order to ensure a good color match. Leather acquires a shine or sheen to it over time due to human oils, dirt, etc. Leather naturally has a "flat matte" finish. If you do not clean your OEM seats, they will not match a brand new leather cover. We will do whatever we can to troubleshoot the problem and come to a resolution. Just know that you are never stuck with a product from our company that you don't like. 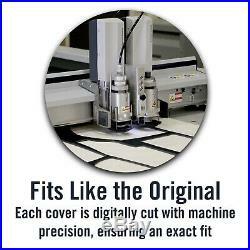 We manufacture all of our covers in Allen, Texas. Each leather hide is inspected for color accuracy and grain before it is used in the manufacturing of our seat covers. 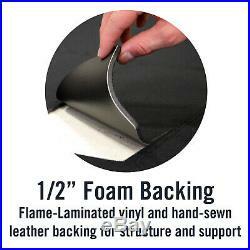 We manufacture all of our covers to the OEM specs. Our leather/vinyl covers have genuine leather on the seating surfaces and vinyl on the side and back skirting, exactly how the OEM covers are made. Due to several different power/air bag options available, we do not pre-cut any holes for these options. These cuts are to be made at the time of installation. Our All Vinyl seat covers have vinyl on the seating surfaces and vinyl on the sides and back skirting. If you have a badge that youd like reattached to your new cover, please reach out to us prior to placing your order, and we can give you a price quote to attach the badge to your new seat cover. If for any reason your item arrives and has been damaged, please give us a call and give us the opportunity to replace the damaged item/part. We don't like reading a bunch of legal jargon and we assume you don't either. We are here to help resolve any issue you may have. Bottom line is we consider every client a friend and treat them accordingly. Please treat us the same and we'll all have a great experience working together! 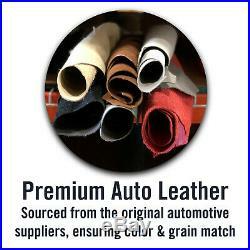 Factory Match Leather Seat Covers. You may be asked to provide us pictures of the defect in order to authorize the replacement. 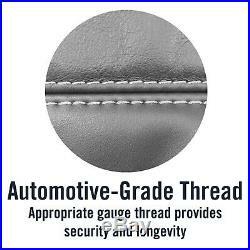 We are not able to authorize a replacement due to abnormal wear or abuse. We are obsessed with customer service! We will do everything we can to make sure you are taken care of! Powered by Solid Commerce The All-in-One Listing, Inventory & Order Management Solution. The item "1999-2002 Ford F250, F350 Super Duty XL Work Truck Bench Bottom Vinyl Seat Cover" is in sale since Friday, March 22, 2019. This item is in the category "eBay Motors\Parts & Accessories\Car & Truck Parts\Interior\Seat Covers". 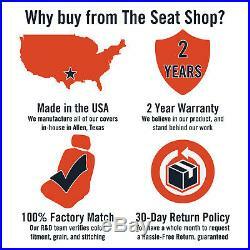 The seller is "theseatshop" and is located in Allen, TX. This item can be shipped to United States. California Prop 65 Warning: WARNING: Cancer and Reproductive HarmWARNING: Cancer and Reproductive Harm.